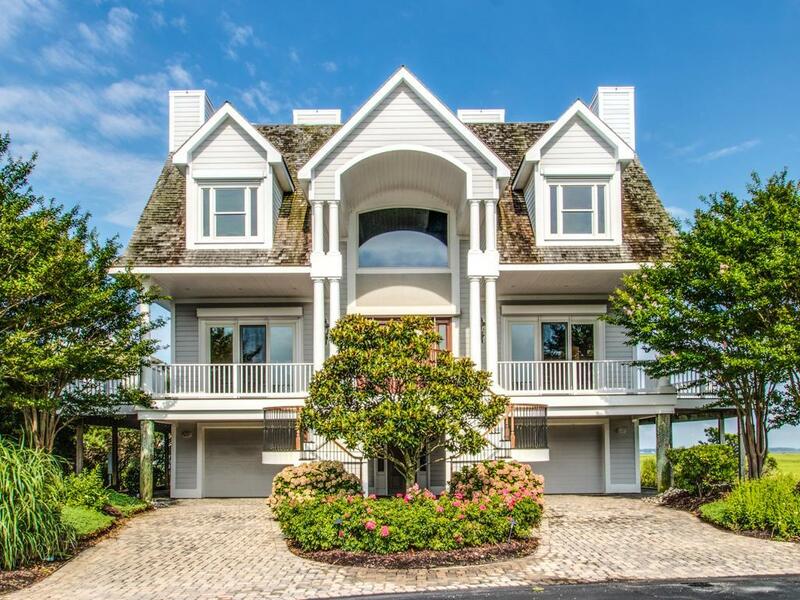 This spectacular waterfront retreat, with 270-degree panoramic views of the Indian River Bay and Atlantic Ocean, is the epitome of luxurious coastal elegance. 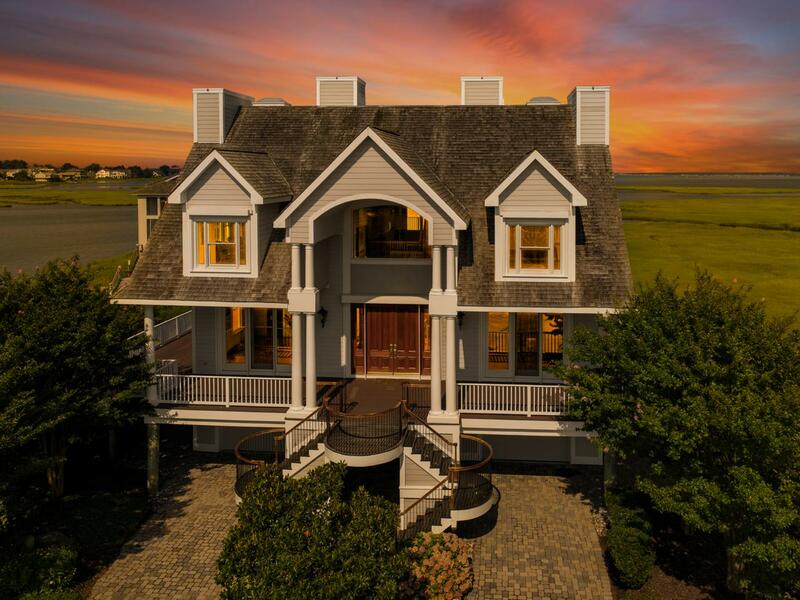 Located in the private, gated community of The Cove in North Bethany, this sophisticated estate undoubtedly has one of the most stunning views in Coastal Delaware. 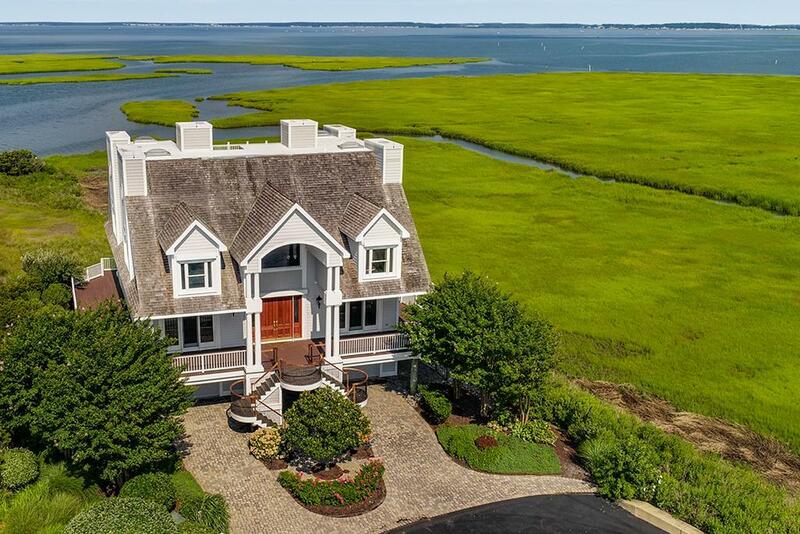 With 18 acres of protected wetlands bordering the residence, gorgeous and scenic vistas unfold each and every day from expansive interior and exterior living spaces. Featuring over 2,600 square feet of outdoor living space, this home offers spacious decks on three levels, including a stunning rooftop perch perfect for catching glorious sunsets. The airy, sun-filled interior boasts 5,000 sf of meticulous craftsmanship, from the beautiful cherry hardwood floors throughout, 10-foot+ ceilings, intricate crown moulding, Andersen windows and doors, custom built-in cabinetry, four fireplaces, and elevator servicing all floors. The gourmet chef~s kitchen is complete with a professional Viking range, Sub-Zero paneled refrigerator, WoodMode custom cabinets, two additional refrigerator drawers, oversized island topped with Absolute Black granite, custom hardware, granite counters, and a 9-foot window overlooking the stunning water views. The butler's pantry features a Sub-Zero wine refrigerator, two additional refrigerator drawers, additional Sub-Zero ice maker, and custom cabinetry. The formal dining room, with its gorgeous tray ceiling and trim, is perfect for large gatherings or utilize the generously-sized dining area adjacent to the kitchen to take in the exquisite view. Each of the six bedrooms features an ensuite luxury bath, spacious custom closets, and built-in window seats overlooking peaceful water views. The owner's bedroom suite has an attached dressing room and luxurious bath with marble floors, spa bathtub, and Kohler sinks. The richly paneled study is a perfect space to cozy up to the fireplace on a chilly beach night or during the winter months. Floor to ceiling doors off the great room showcase an oversized deck which wraps around the entire house and offers plenty of room for dining al fresco and relaxing outdoors. The first floor has ample storage space, including a 3+ car garage and room for beach toys such as kayaks and paddle boards, as well as an outdoor shower after a day on the bay. In addition, this home boasts many unseen upgrades, including a whole house air filtration system, geothermal, centralized hurricane shutters for one-touch control. For the boating and water enthusiast, this home is offered with a deeded boat slip located in the community marina simply steps away. Residents of the The Cove can enjoy the community amenities including tennis, pool and pool house, basketball court, and marina and the convenience of downtown Bethany with its stylish shops, gourmet restaurants, healthy outdoor activities, and live entertainment. 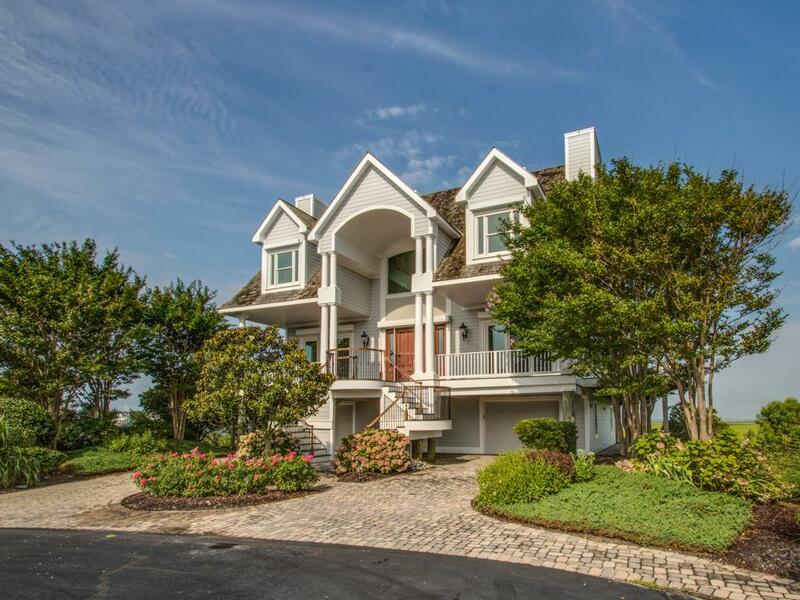 The private location of this residence offers unparalleled wildlife watching, with osprey nests, willets, ducks, geese, eagles, and deer making graceful appearances; however, it is easy to enjoy exploring nearby Fenwick Island, Dewey & Rehoboth Beach and Lewes just minutes away!